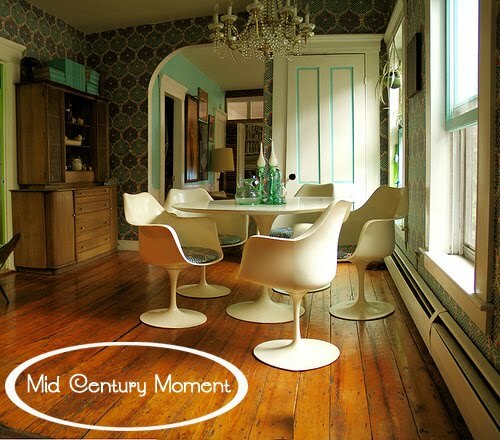 Welcome to a new feature on my blog, Mid Century Moment. You all know that I am obsessed with mid century design, so instead of bombarding you all the time with it, I thought I would pick one favorite each week to post. Enjoy! i like this room a lot! What does crushed orange velvet go with?